Tucked away in the East of England lies the county of Norfolk, a fresh and rural part of the country offering miles of unspoilt coastline, beautiful countryside, deep forests and exciting outdoor activities. Lenwade House is conveniently situated just 8 miles from Norwich city centre and 20 miles from the North Norfolk coastline. Visit Norwich, one of the UK's oldest cities offering wealth of art and history in a more relaxed setting. Named as England's first UNESCO City of Literauture in 2012, Norwich has plenty to offer in terms of culture. Stroll along St Benedict's Street, a charming place filled with independent music shops, soulful pubs, art markets and local exhibitions. For a bit of history, head to the Norwich Cathedral, a spectacularly grand building. 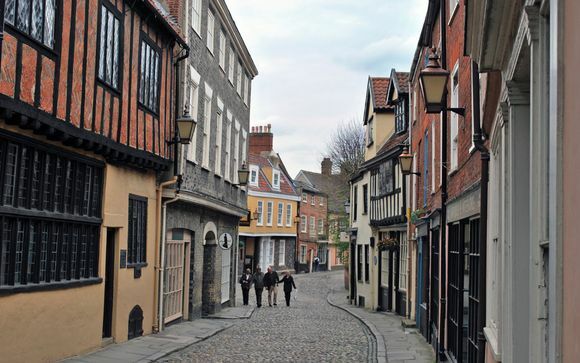 Or head to Elm Hill, a superbly intact medieval street often used as a filming location. After exploring this fantastic city, feel completely at ease as your return to Lenwade House just under half an hour away, making Norwich a perfect day out. Lenwade House is a fantastic property which has been fully redecorated and furnished to the highest of standards. The hotel offers an idyllic environment for special days out with family or friends, whether celebrating something special or simply wanting a relaxing break. The picturesque front of the house and magnificent mature trees are an ideal backdrop for your special memories and the large lawn to the rear of the property along with the river terrace overlooking the River Wensum offers a truly unforgettable setting. This offer is based on a Standard Room. Just for you: complimentary early check-in at 2pm. The hotel offers elegant and comfortably appointed rooms with en-suite facilities. 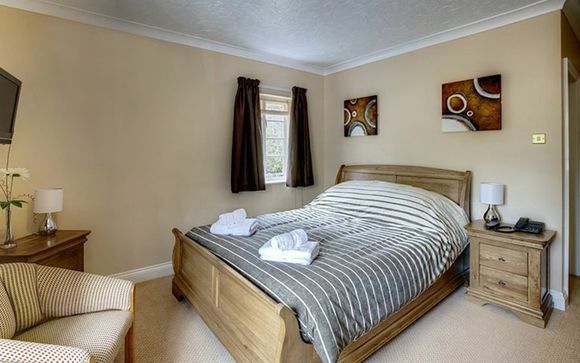 All rooms enjoy delightful views of either the River Wensum, the beautiful gardens or woodlands. Amenities include: king-sized beds, TV, wi-fi, telephone, tea/coffee facilities, hairdryer & trouser press. Visit the Vines Restaurant boasting a traditional but warm setting. The renowned, award-winning Chef is able to offer dishes which will truly delight your taste buds. They offer a wide range of mouth-watering menus for family celebrations to intimate evening dining. 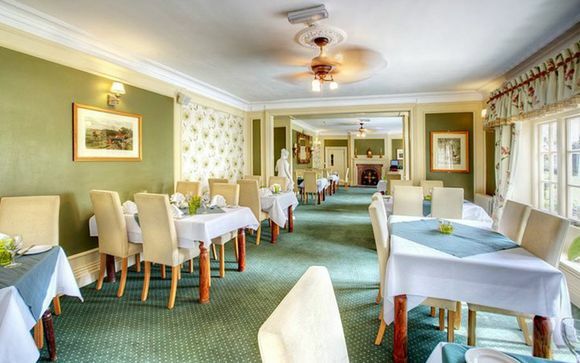 Why not try their traditional Sunday lunch? They use only the freshest local produce in all of their dishes. Dudley's Bar is a comfortable, relaxed, informal bar with Riverside Terrace for al fresco dining. It offers an array of beers, wines and spirits. Simply prepared tasty light bites are also available to suit all palates. The chef will even prepare an exciting picnic hamper if you wish to enjoy a private picnic within the grounds of Lenwade House or to take away on day excursions. The Riverside Conservatory is also available for guests, as well as the lounge bar area, both ideal for those that require a more relaxed setting.